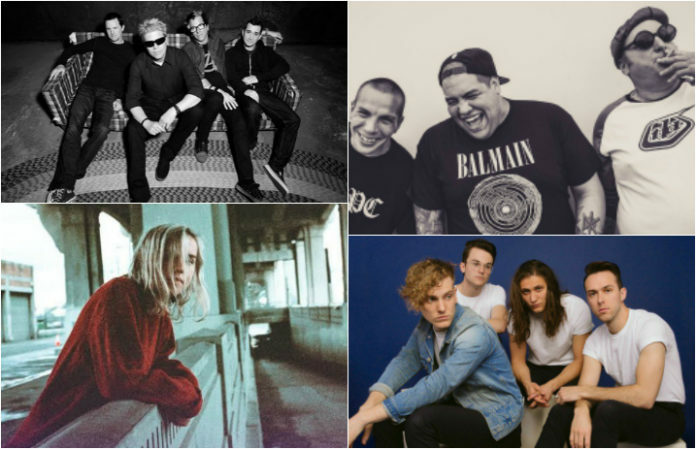 Catch Sublime With Rome and the Offspring and Fozzy, Kyng and Sons Of Texas on tour this spring—plus hear new music from COIN and the Technicolors. Check out the news you might have missed today below! 1. Sublime With Rome and the Offspring have announced an epic round of 2017 North American tour dates. A fan presale will begin on Tuesday, March 14 at 10 a.m. local time. Regular tickets go on sale Friday, March 17 at 10 a.m. local. Details and ticket links can be found here. 2. Ocean Grove have released a new video for “Thunderdome,” the third track The Rhapsody Tapes. Check it out below! 3. Fozzy, Kyng and Sons Of Texas have announced a string of spring tour dates. Check out the full list of cities and dates below! 4. The Japanese House have announced additional SXSW shows. Check out the dates and times below! The Japanese House is currently touring the US, with dates running through March 28. Get tickets here. 5. The Dillinger Escape Plan’s 7” for their track “Limerent Death” will get a silver vinyl pressing, limited to 2500 copies, on May 5, reports ThePRP. The track appears on the A-side, with an instrumental version featured on the B-side. The song appears from the band’s latest album, Dissociation. 6. COIN released their new track “Malibu, 1992.” Give it a listen below! The track is taken off their forthcoming album, set to drop this spring. “Four years ago, we recorded this song by ourselves. At 4AM, under flickering fluorescent light, we carelessly wrote. Then, we put it on the shelf,” vocalist Chase Lawrence told Baeble. 7. The Technicolors released a new song, “Lilies For Lily.” Give it a listen below! The Technicolors released their last EP, Ultraviolet Disguise, back in 2015. 8. My Morning Jacket have announced a summer 2017 tour. Check out the full list of cities and dates below! The amphitheatre run will kick off in Cincinnati, OH, and the opening acts will include The Record Company, Margo Price, Gary Clark Jr., Jaw Gems and The Districts.